Considered the finest Egyptian Cotton terry on the market today! 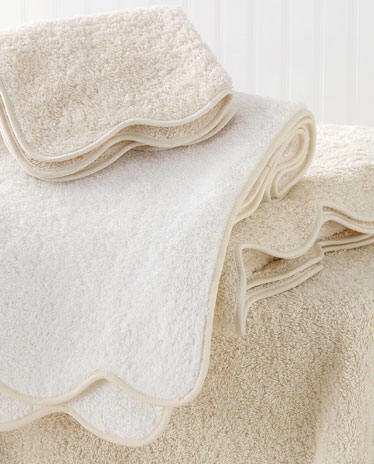 This range of luxury bath towels are all custom constructed and finished with an applied piped edge in the color of your choice. No woven dobby. Custom sizes available! Prices below include the selected monogram. 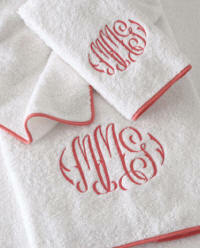 Monogramming : Choose your monogram selections below..
XL Bath Sheets Available. Please call for assistance. Quilted Scallop Bath Mats Available. Please call for assistance.